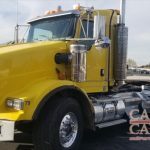 A repeat San Jose, CA, client contacted us to add Apple CarPlay to his 1995 Kenworth truck. 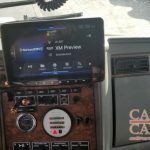 He had just purchased this vehicle to add to his fleet of other trucks and wanted the convenience and driver safety features CarPlay has to offer. After taking a look at the truck, we chose an Alpine iLX-F309. 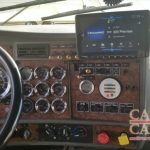 This unit provides a massive 9″ touchscreen that shows navigation, along with other multimedia controls. The single-DIN mounting chassis allows this radio to fit in many types of vehicles. 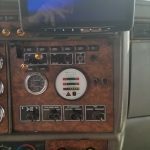 This style of chassis worked perfectly to float the large screen in perfect view while the client is driving this big truck. 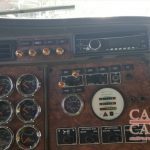 If you want to learn more about this Alpine car stereo or how we can upgrade your ride, come by and see our team of experts. You can also reach out to us through our online contact form.